Casual, Rugged, Comfortable. When quality counts, the DRI Duck Thermal-Lined Hooded Sweatshirt delivers! 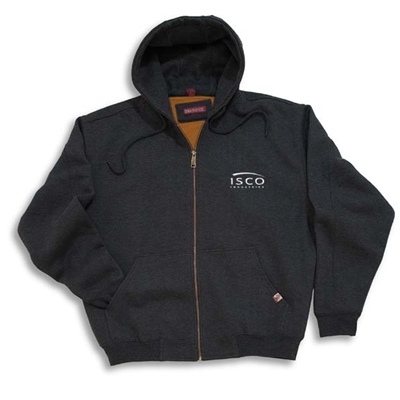 80% cotton/20% polyester 11.0 ounce heavyweight fleece. Textured thermal cloth lining. Rugged zipper and spandex blend rib knit trim. Three-piece fleece hood. Oversized pouch pockets. Triple-needle stitching. Inside cell phone pocket.